Canna lilies have arrived at The Garden Center! These beauties are a great way to add a tropical look to your landscape. 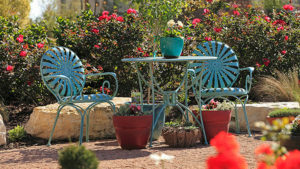 They are easy to recognize by their large leaves and vibrant blooms. They almost look like banana plants. Cannas come in many colors including red, pink, salmon, orange, yellow, white and bicolor. Hummingbirds love the flowers too. Some varieties even have variegated or colorful foliage. Canna lilies are perennial plants that will bloom spring through fall. Removing dead flower stalks at the base will also encourage more flowers. Plant Cannas where they can get at least half a day of sun. They don't perform well in the shade. 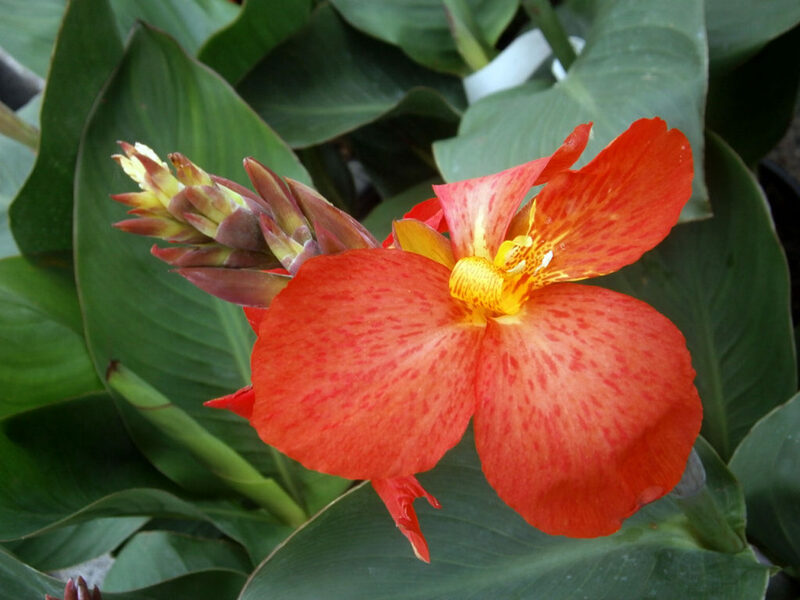 Although Canna lilies are heat and drought tolerant once established, they can also grow in wet, boggy areas. These plants will grow 2 to 5 feet tall and should be spaced 1 to 2 feet apart. Plant cannas in containers, along foundations or use as a background plant. Canna's are easy to grow, bloom all season and can take our Texas heat! What more could you ask for? Well, in case of zombie apocalypse, you could also eat the tubers like a potato. But also, we have them at a great price! Grab a 2 gallon container for only $14.99 or a 2 gallon specialty Tropicana Canna for $24.99. Come by and see 'em!